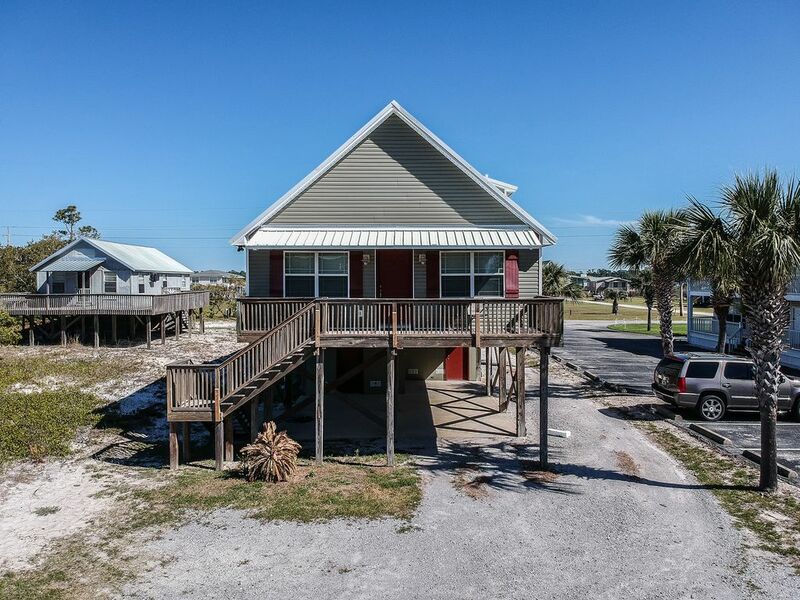 Affordable, Prime Beach/Lagoon Location! Walk to beach and restaurants! This vacation home is approximately 900 feet away from the beach. Convenient public beach access boardwalk across the street. Side A: Faces the lagoon, Sectional, 1 king, 1 queen, 1 bunk bed (2 twins - top bunk with rails), 2 bathrooms. Responsible Party must be 25 years of age or older. Also, check out our other listings if traveling with family or friends! Great price for a fun stay! If you find yourself on a budget and need to accommodate MANY people, this is a perfect place! It's a short walk to the beach and it connects to another condo (townhouse?) just beside it. My kids feel like they had a private spring break, "staying alone" their senior year, because they had a house to themselves but we had the door between the houses unlocked at all times so I felt good about the stay as well. It's not exactly walking distance to restaurants but there is plenty of parking at the local businesses and they are only a few miles down the road. It was a great trip for us and the beach was FABULOUS. This duplex had a nice open concept that made it easy to visit with my family of 6. The beach is just a short walk across the street. There is a nice Convenient Store, Bar & Grill and an Ice Cream shop all within walking distance! The beds were not the most comfortable for anyone with back issues like me, but everyone had a bed and no one was left sleeping on the couches. This duplex is located next to some apartments, so we did not enjoy the front porch as much. I would stay here again, because it was roomy, pet-friendly, had a washer/dryer, and places that were in walking distance! Very nice and comfortable . Great location and a short walk to the beautiful beach. This is a really nice duplex that sleeps several people and has 2 full bathrooms. Place was clean and well maintained. If you have dogs, I would recommend staying in side B as it has better access to the yard. Several places are a short drive but there is a place on 11th street (that is truly walking distance) that had great happy hour specials seemed to be a hangout for the snowbirds. We stayed in unit B for the weekend of my mother's 60th birthday and truly enjoyed the house. Would definitely stay again with a large group.